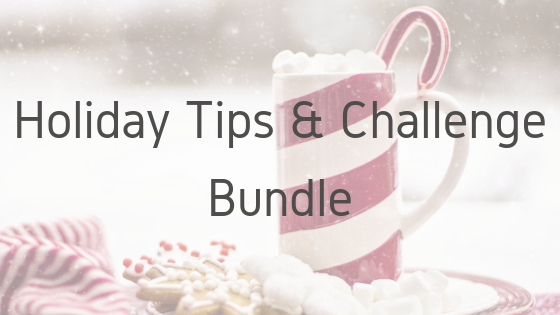 This bundle is a great resource to provide your clients this holiday season. This time of year, clients are often concerned that the holidays will derail all the hard work they’ve been doing, and these tips will help them stay on track and the challenge will help them learn to enjoy their holiday season without stressing or feeling guilty over their food choices. This bundle will give your holiday season counseling sessions some much-needed structure and guidance, and give your clients a reason to keep their appointments during this busy time of year. Your clients will also be more likely to stay compliant with their goals throughout the season, which in turn will improve client retention into the new year. You can also use both items in this bundle to increase your online followers. Use the challenge to do yourself, post about your experience, and encourage your followers to do it with you. Send the tip sheet to your subscribers as a thank you, or post a tip each day on your social media platforms. If you like this bundle and would like more for your clients, visit my store page to see all my listings, and to contact me about custom products. Click the “view all downloads” link below. Product Terms and Conditions Copyright © 2018 by Amanda Goodwin. All rights reserved, including the right to reproduce, sell, or distribute this product to other professionals. This product may be used only for its intended use, which is to use as a tool with clients. This product is provided without any warranties or guarantees. We make no warranties of any kind, either express or implied, including warranties of merchant ability and fitness for a particular purpose. This product is to be used at your own risk based on your own judgment. Amanda Goodwin is the founder of Happily Nourished, and Registered Dietitian Nutritionist to women who struggle with restrictive diets. She is dedicated to helping her clients break free from these restrictions, feel liberated from their guilt associated with food, and achieve their health and fitness goals by teaching them to nourish their bodies and minds so that they can improve their relationship with food, feel confident in their own skin, and live a happy and fulfilling life.